The International Blackjack League has been up and running at some of the best online casinos available to Australian players, who can now compete against 21 players worldwide. 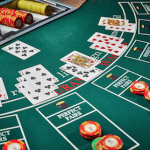 Part of the Fortune Lounge Group, an alliance which only offers the most reputable online casinos, the International Blackjack League is available at four premium internet gaming establishments, two of which are extremely popular in Australia and which we recommend as safe and trusted real money venues. By signing up to Royal Vegas or 7 Sultans with a real AUD money account, players can access the blackjack tournaments and compete for massive prizes. To play, click the Royal Vegas IBT banner above, download the casino’s official software – provided by the popular Microgaming developers – and click the ‘Blackjack Tournaments’ link, which will prompt players to pick which tournament to partake in. There are scheduled tournaments, as well as ‘Sit n’ Go’ rounds where players are not required to sign up, unlike the scheduled events. There may be an entry fee which players can confirm to be added to their account and once entered, players are indicated the duration of the game. Other tournaments include the ‘Freeroll’, where you do not need to make a deposit to play, and the ‘Buy-in’, where an entry fee is charged. There are a number of gaming instructions players need to be aware of before entering a tournament. Each table will have hands which are defined at the elimination hands. These will be advertised clearly and could be any hand number, for example the 4th, 6th or 12th hand. The player with the least amount of chips at the end of the hand will be eliminated, while if it is a draw and two players have equal amount of chips, only one will be eliminated via Sudden Death. However, if they both have no chips, regardless if it is an elimination hand, they will both be eliminated. Players in a live tournament can opt to sit out of the tournament for a period of time, while still being able to re-enter later. To do so, they need to click the ‘Sit-Out’ box and the hand will be played at a sub-optimal strategy. To rejoin the game players must click the box again. Every player has a wager entitled the ‘secret bet’ which is available every round. They can use it at any time, and it will only be shown at the end of the round. The standard actions are compatible with the secret bet, and it exists as a unique chip for all other players to see at the end of the hand. For players who are experiencing technical difficulties such as a disconnection during a live tournament, the game will go into ‘auto-play. 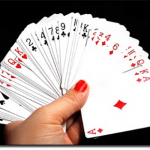 This means that a system will play by betting the minimum amount and play until a soft 12 or stand at just two cards. Check the tournament schedule link on the International Blackjack League page to see a list of set times.